Numerous groups meet regularly through the week, for example, Bible Study group, Ecumenical Prayer group (1st Friday every month,) Young Wives (though open to ladies of any age, married or not,) Rainbows and Brownies, Tuesday afternoon ladies meeting. You can find details of all meetings in the Diary of Events section. A full range of community activities can be found on the VanGuard website. The One Plus group is a group set up by one of the church members. It meets monthly and offers mutual support for a group of friends who have lost their partners. The church makes good use of its well equipped kitchen. 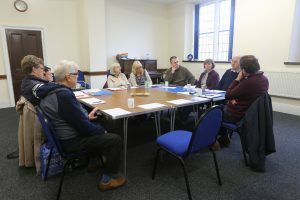 Coffee and tea are normally provided after worship and the church members and friends occasionally share a meal in one of the downstairs rooms after worship on certain special occasions (e.g. Harvest). 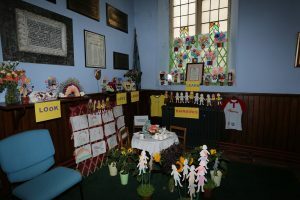 Church members also prepare lunches and cold snacks as part of the Caerphilly Flower Festival and similar events. 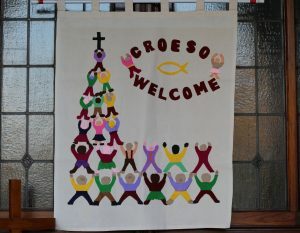 For many years we have had an annual church weekend in Trefeca, Mid Wales. This is a time of fun and fellowship in beautiful surroundings. We have a monthly magazine called Inform. This gives the opportunity for the congregation to contribute thoughts and information and keep up to date with church services and events.